Who is Pete and what is he presenting? Pete Szumowski, also known as Piotrek Szumowski (WOW that's crazy- his name changed! ), somehow completed a stand-up tour around the world which lasted 409 days. It was spread across 5 continents, occurred in 3 languages and was seen in over 30 countries. Bla bla bla... he has told this story a million times. After 2 years of inviting international stand-up comedians to perform in Warsaw, he has finally had enough. It is time to introduce the home-grown talent! 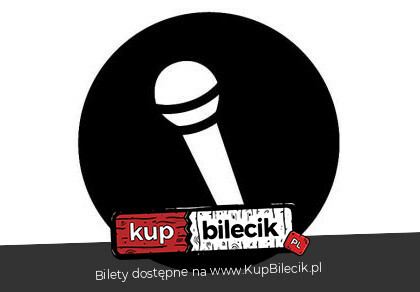 On Tuesday 19th of February, the spotlight will shine on the ten most talented English speaking comedians in Poland. Each performer will do their best material and the show will be recorded for viewing purposes. Things are always recorded for viewing purposes - that's a dumb explanation. Come to the show and watch it live, for your personal viewing purposes. Bartosz Zalewski - "The beacon of hope" is something no one has ever called Bartosz. His comedy is cruel, his punch-lines are crazy and his nose is crooked. You might have seen it on Comedy Central, Wojewódzki or in one of his many Youtube videos. Cezary Jurkiewicz - The Caesar of comedy and salads. A comedian that may not always be right but boy will he write about it. One of the forefathers of comedy in Poland - he still thinks he has four fathers. As seen on Comedy Central, numerous roasts and countless Youtube videos. Karol Kopiec - Captain creativity. For those of you that do not speak Polish - that is literally what his name translates to. For those of you who do speak Polish - do not tell the first group that we are lying. Karol has rocked his comedy in numerous countries, on many TV stations and has 500,000+ views on Youtube. Damian Skóra - The only comedian from Kraków. You mean, the only comedian from Kraków in the line-up? No, I mean the only comedian from Kraków. Boy, that city is the worst! Thankfully, his first special is about to be released so maybe something good will come out of that godforsaken city. Kris Szumowski - The middle Szumowski brother is nothing like the middle finger. He is polite, articulate and never up anyone's bum. He has performed on Comedy Central in English. Ravi Kumar - The 6th member of Spice Girls. There was Posh, there was Baby, there were 3 others no one remembers and now there is Ravi. The Indian spice! He likes to be called the Indian Tornado, but no one in their right mind should do that. Julian Szumowski - A man that never looks back. Because he looks in the mirror far too much. Generous Julian, he is generous with his insults. Christopher Matthew - Born in Canada, raised in a Polish family. He received the worst from both worlds - he gets drunk and then apologies to everyone. Andrzej Sosnowski - The man with the moustache. Or the moustache with the man? No one knows which controls which. Rumour has it the moustache once told Andrzej that it plans to take over the world... one hair at a time. Filip Van Der Brym - A comedian of many names. Or a comedian of many parts to his name. Or a comedian with many names to his part? I feel like I should stop writing these. Filip is not an actor. He is a comedian. The Final Comedian. That is the name of the film he plays in. As an actor. Actor-comedian. Comedian-actor. He is just a comedian.